Pineapples and summer go hand in hand. They’re bright and refreshing. If you love sewing for little girls, this Pineapple Drawstring Backpack tutorial is a cute and easy project. This bag is really fun for little ones, but it really works for anyone. You could even make the straps longer and keep it for yourself! 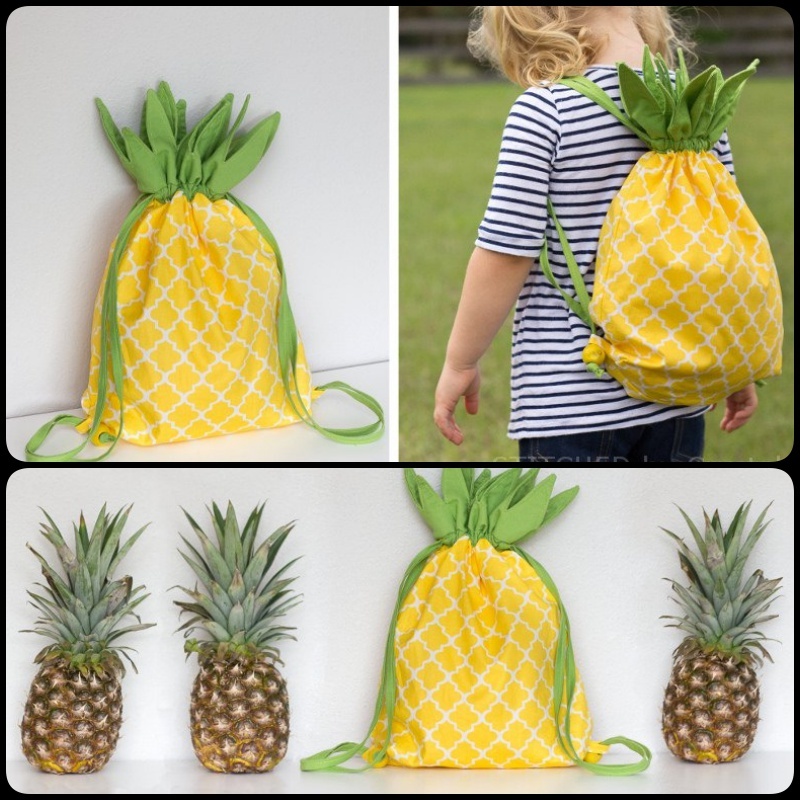 Here is free pattern for the Pineapple Drawstring Backpack via Make It and Love It. They are incredibly adorable and perfect for summer! Try it and it is so much fun to make!